Yes…I LOVE bokeh. There. I said it. I know maybe it’s past it’s prime in some ways, but I can’t help myself. I adore those beautiful little circles of blurry light in photographs. So when I perused our Everyday Beauty Flickr pool, these gems of dreamy bokeh goodness called out to me. 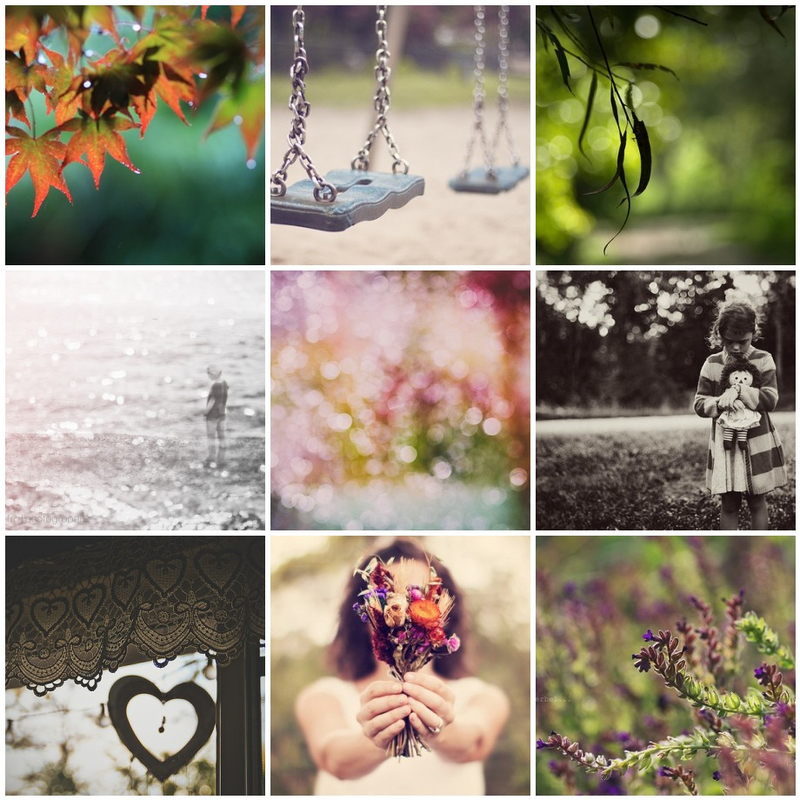 I love the photos in this mosaic for their range of color to black and white, nature to portraits. Hope you enjoyed these images as much as I did. Beautiful shots. All so softly evocative.